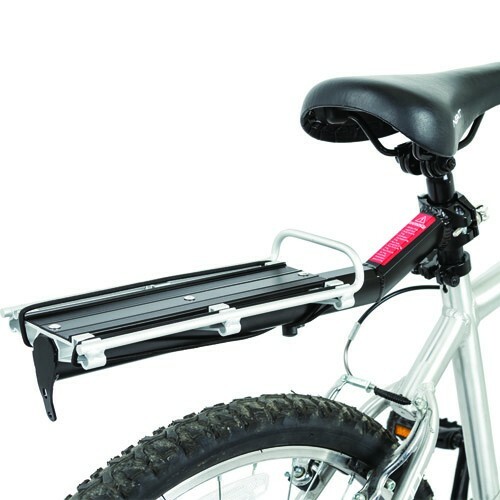 The seat post bike rack has a quick-release bracket and rubber gaskets to mount around a seat post, providing a place to transport bags or panniers. The rack is made of lightweight, rust-free aluminum and includes integrated bungee straps for securing cargo. Overall Dimensions: 19-1/4” L x 4-3/4” W x 5-1/4” H, wieght capacity: 20 lbs.